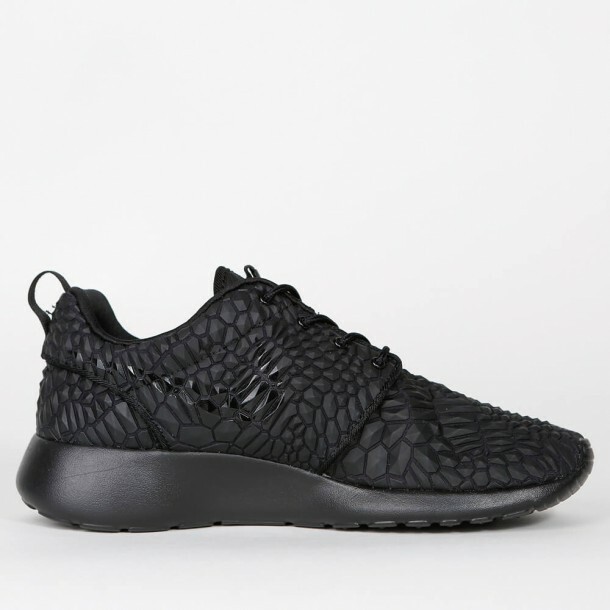 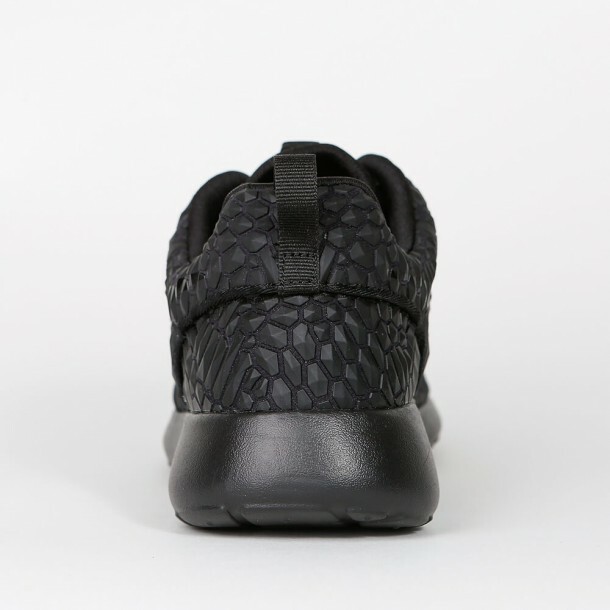 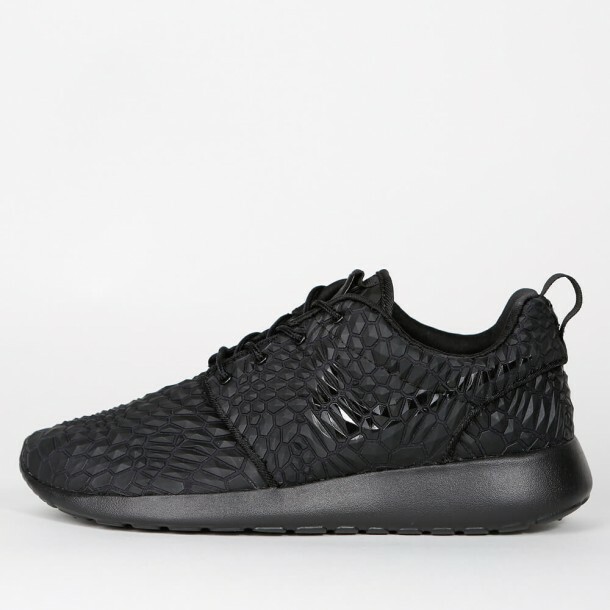 The all-black Nike Roshe One DMB „Diamondback“ for women comes in a fancy, unusual upper in the look of a rattlesnake. 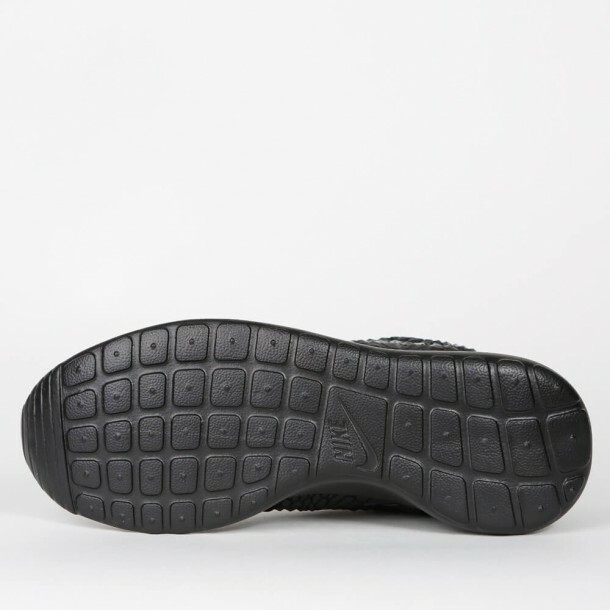 The scaly, light upper of the sneaker fits like a second skin and ensures an amazing wearing comfort along with the Solarsoft midsole and the soft insoles. 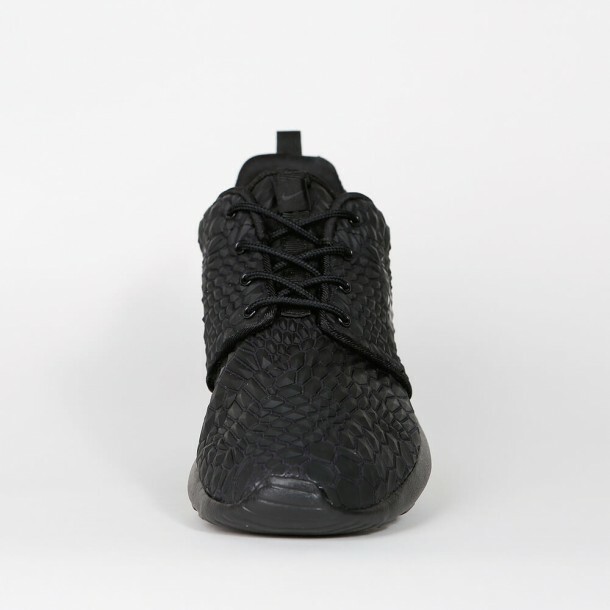 Also the DMB peerlessly complies with the Zen idea of Nike's Roshe One concept and signifies a classy low-tech sneaker due to its binominal and minimalist shape.